Here at Gould Genealogy, we list literally thousands of products, which is great to have so many amazing titles available, and to give you choice, but it also means that sometimes titles get lost in amongst them all, which is sad as so many have such incredible historical information in them. So I’ve decided that we will periodically create a “Did You Know About” post to highlight some of them. Today I’m highlighting just 9 of them for you here. 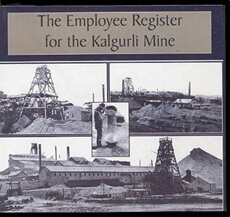 The book is a old-style handwritten ledger of employees in the Kalgurlie (Kalgoorlie)/Boulder area of the Western Australian goldfields. The earliest registration appears to be on 1 May 1899 when C Carlson was entered. Although the note at the front of the register was written in 1915, entries are listed beyond this date  at least to 16 January 1920 when the name of Claud Ernest Andrews of Hewitt St, Kalgoorlie was recorded as being engaged. Quite a number of entries record the date of leaving as 30 April 1921, and the reason for the discharge being “cessation of work”. Each entry includes the Date engaged, Name of Employee, Address, Name of Friendly Society, Recommended by, Occupation, Transferred to, Accidents, Date of Leaving, and Reason for Leaving or Discharge is recorded. Later entries include the age of the employee. Occupations are varied  labourer, coach painter, shoveller, filler, miner, dustman, assayer, agitator, shift boss, fireman and many more. 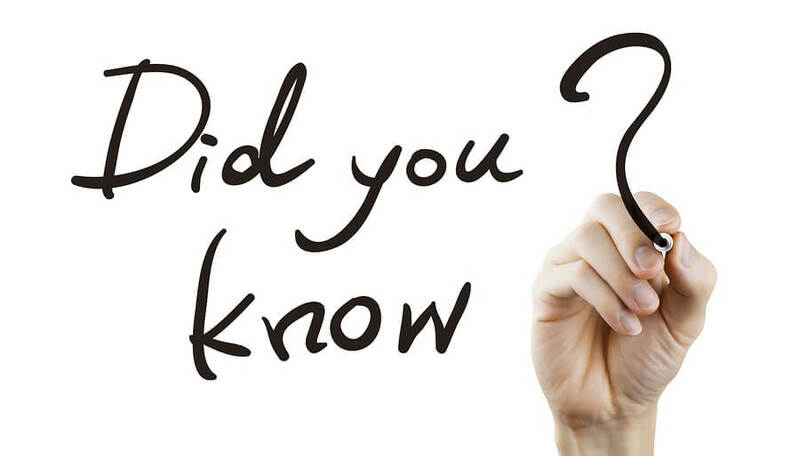 The reasons of discharge are interesting to read  for example, “grumbling workman”, “left to better himself”, “enlisted”, “killed by falling down main shaft”  what a great source of information that can probably not be obtained elsewhere! 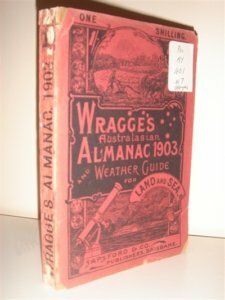 Available in various year, Wragge’s Weather Almanac was issued periodically and contains a wide range of information on weather, meteorology and astronomy. As well as a focus on the weather, there is also useful and interesting information on: Agriculture; Horticulture; Botany; Australian Seasons; Cookery; Medical Hints; Artesian Water supply; Development of Mining and Shipping Interests. Ideal for social history. Alexander Maconochie was a Scottish naval officer, geographer, and penal reformer. In 1836 he sailed to the convict settlement at Hobart in Van Diemen’s Land (now Tasmania) as private secretary to the Lieutenant-Governor Sir John Franklin. Here he wrote a report strongly critical of the state of prison discipline. The convict system, being fixated on punishment alone, released back into society crushed, resentful and bitter expirees, in whom the spark of enterprise and hope was dead. 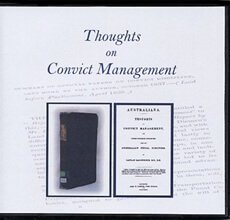 ‘Thoughts on Convict Management’ was this report. It was written for the purpose of making recommendations about the way convicts should be disciplined, viewed and treated, focussing more on moral influences rather than physical aspects. Set out in two parts, the first focuses on the management of convicts, while the second contains miscellaneous information, such as information on crime in, and emigration to VDL. This book was written for the purpose of providing useful, practical and interesting facts and other information to the general Australian public as well as to tourists and visitors to Australia. 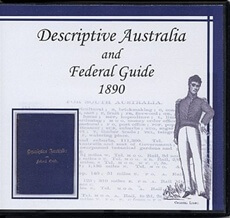 Published in Adelaide, it contains a graphic outline of the city and includes an appendix briefly describing some of the individuals who played a part in the development of South Australia. 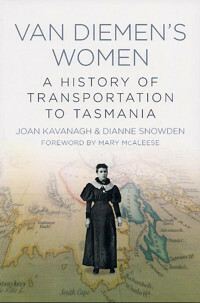 A brief history of ‘the other colonies and Tasmania’ is also included, as well as a detailed railway and road guide for tourists, information on imports and exports and brief biographical notes on each colony. 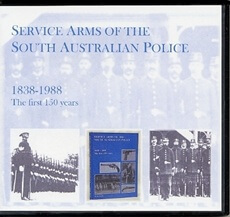 Service Arms of the South Australian Police 1838-1988, written by Max Slee, is a comprehensive, descriptive, detailed and historically accurate account of the range of arms used by the police force in South Australia throughout 150 years. It also provides an account of the men and women who were provided with the arms in different divisions of the police force, and contains illustrations and descriptions of different weapons, markings on the weapons and information on when certain weapons were introduced into the police force. A valuable reference work for those who have connections to the South Australian Police Force. 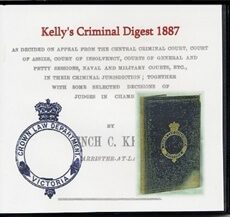 This book of the law of Crimes and Offences in Victoria, was written in 1887 by Wm. Trench C. Kelly, who was a barrister at law. His book is described as a ‘handbook of the decisions relating to specific convictions upon appeal in the Victorian judicial system’. Sorted alphabetically by type-of-case, it includes a brief description of the case type or crime, the name of the Act of parliament that the crime comes under, as well as a reason for certain rulings made within the cases. It also gives examples of cases together with their reference details. It also has an index of specific cases used within the book. This book (now on CD) is useful for family historians whose family members may have had a criminal background, as well as for legal historians. 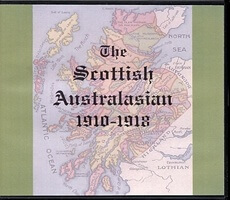 This CD set contains a complete run of the Scottish Australasian for from December 1909 to 1918 (over 7000 pages). First published in December 1909, the journal wanted to help the young folk of Scottish parentage to better understand the history, literature and songs of the land of their forefathers. 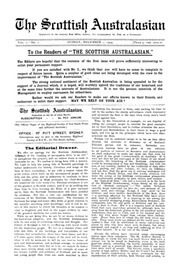 The journals have articles on a wide range of topics relating to Scotland – articles on well known Scots in Australasia, Scottish Songstresses, Scottish heroes of the war, ships of long ago, obituaries, the clans, and much more. SAMPLE ENTRY: OBITUARY. ALEXANDER SMITH. 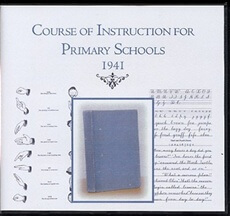 This volume was published by the New South Wales Department of Education in 1941, and describes the duty teachers and schools have to their students. It also describes curriculum subjects such as: English, Social Studies, History, Geography, Mathematics, Health, Nature Study, Music and Art, and contains information on the importance of teaching these subjects. This is a useful guide to learn more about Australia’s early education system. What Motor Vehicle laws where there in South Australia in 1922? 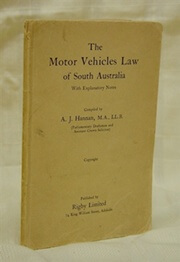 This book contains details of a number of parliamentary Acts concerning the Motor Vehicle Laws of South Australia, including: The “Motor Vehicles Act 1921” which was produced “to make further and better provision for Regulating the use of motor vehicles”. Information about registration, licences, offences and taxes is also contained in this book. 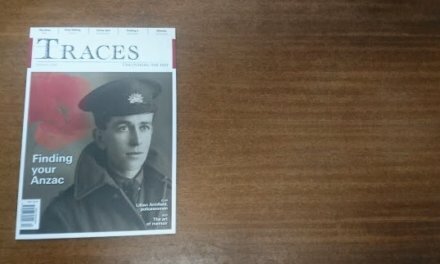 To check out these and the 1000s of other genealogy and history related titles, visit our website www.gould.com.au. And if you’d like to keep up to date with the latest news and products, subscribe to our email newsletter while you’re there. If ebooks are more your thing, head on over to www.gen-ebooks.com, and have a look through the 1000 or so titles there that you can download (with more being added every month).